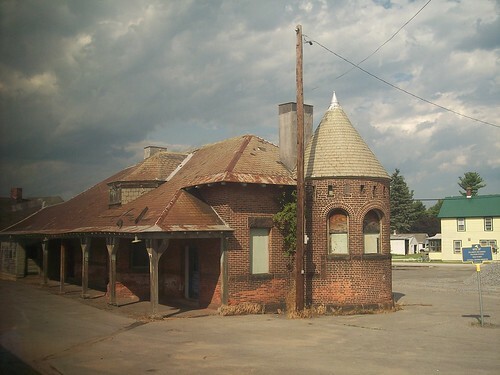 The old Delaware and Hudson station building in Rouses Point. 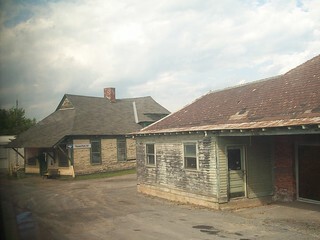 The station looks like it's been boarded up for a long time. The actual station sign is on a building just north of the old station. This is near where the Rutland used to cross. 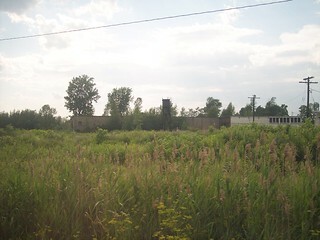 As we begin south, the remnants of another large old yard can be seen.